The U.S. Food and Drug Administration has approved Latuda (lurasidone HCl) tablets for the treatment of adults with schizophrenia. Read this Patient Information before you start taking Latuda and each time you get a refill. There may be new information. This Information Guide does not take the place of talking with your doctor about your medical condition or your treatment. Latuda is an antipsychotic medication. 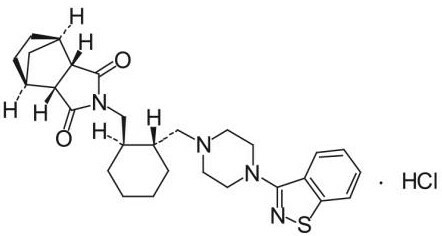 It is an "atypical antipsychotic". It works by changing the effects of chemicals in the brain. Latuda is used to treat schizophrenia in adults. Latuda may also be used for purposes other than those listed in this medication guide. Elderly people with dementia-related psychosis (a severe mental health problem) taking atypical antipsychotic drugs, including Latuda, are at an increased risk for death compared with those taking placebo (sugar tablet). Latuda is not approved for the treatment of people with dementia-related psychosis (see BOXED WARNING). An increased risk for stroke and ministroke has been reported in elderly people with dementia-related psychosis. Neuroleptic malignant syndrome (NMS): NMS is a rare and potentially fatal side effect reported with Latuda and similar medicines. Call your healthcare provider right away if you have high fever; stiff muscles; confusion; changes in pulse, heart rate, or blood pressure; sweating; or muscle pain and weakness. Treatment should be stopped if you have NMS. Tardive dyskinesia (TD): TD is a serious and sometimes permanent side effect reported with Latuda and similar medicines. TD includes uncontrollable movements of the face, tongue, and other parts of the body. The risk for developing TD and the chance that it will become permanent is thought to increase the longer a person takes the medicine and the more medicine a person takes over time. TD can develop after a person has been taking the medicine for a short time at low doses, although this is much less common. There is no known treatment for TD, but it may go away partially or completely if the person stops taking the medicine. High blood sugar: High blood sugar and diabetes have been reported with Latuda. In studies, most people taking Latuda had no problems with their blood sugar. If you have diabetes or risk factors for diabetes, such as being overweight or a family history of diabetes, your blood sugar should be tested at the beginning of and throughout treatment with Latuda. Complications of diabetes can be serious and even life threatening. Tell your healthcare provider if you have blood sugar problems or signs of diabetes, such as being thirsty all the time, going to the bathroom a lot, or feeling weak or hungry. Weight gain: Some patients may gain weight while taking Latuda. Your healthcare provider should check your weight regularly. Talk to your healthcare provider about ways to help control your weight, such as eating a healthy, balanced diet and exercising. Light-headedness or faintness caused by a sudden change in heart rate and blood pressure when rising quickly from a sitting position has been reported with Latuda. Low white blood cell counts and related conditions have been reported with Latuda and similar medicines. Tell your healthcare provider if you have or had low white blood cell counts. Latuda and medicines like it may raise the levels of prolactin. Tell your healthcare provider if you experience a lack of menstrual periods, leaking or enlarged breasts, or impotence. Tell your healthcare provider if you have a seizure disorder, have had seizures in the past, or have conditions that increase your risk for seizures. Tell your healthcare provider if you experience prolonged, abnormal muscle spasm or contraction, which may be signs of a condition called dystonia. Latuda can affect your judgment, thinking, and motor skills. You should not drive or operate hazardous machinery until you know how Latuda affects you. Latuda may make you more sensitive to heat. You may have trouble cooling off. Be careful when exercising or when doing things likely to cause dehydration or make you warm. The symptoms of schizophrenia may include thoughts of suicide or of hurting yourself or others. If you have these thoughts at any time, tell your healthcare provider or go to an emergency room right away. Latuda and medicines like it have been associated with swallowing problems. If you have had or have swallowing problems, you should tell your healthcare provider. Pregnancy: Tell your healthcare provider if you are pregnant or if you are planning to get pregnant while taking Latuda. Breast feeding is not recommended during treatment with Latuda. Tell your healthcare provider about all prescription and over-the-counter medicines you are taking or plan to take, since there are some risks for drug interactions with Latuda. Do not drink alcohol while taking Latuda. In people with schizophrenia, the most common side effects that occurred with Latuda were sleepiness, an inner sense of restlessness or need to move (akathisia), uncontrolled movements of the body and face (parkinsonism), upset stomach, and agitation. This is not a complete summary of safety information. Please discuss the full Prescribing Information for prescription Latuda with your doctor. How should I take Latuda? 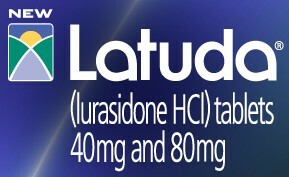 Take Latuda exactly as prescribed by your doctor. Do not take in larger or smaller amounts or for longer than recommended. Follow the directions on your prescription label. Latuda should be taken with food. Take Latuda regularly to get the most benefit. Get your prescription refilled before you run out of medicine completely. Store Latuda at room temperature away from moisture, light, and heat. Overdose symptoms may include drowsiness, fast heart rate, feeling light-headed, fainting, and restless muscle movements in your eyes, tongue, jaw, or neck. What should I avoid while taking Latuda? While you are taking Latuda, you may be more sensitive to temperature extremes such as very hot or cold conditions. Avoid getting too cold, or becoming overheated or dehydrated. Drink plenty of fluids, especially in hot weather and during exercise. It is easier to become dangerously overheated and dehydrated while you are taking Latuda. Latuda can cause side effects that may impair your thinking or reactions. Be careful if you drive or do anything that requires you to be awake and alert. Avoid drinking alcohol. It can increase some of the side effects of Latuda. The recommended starting dose of Latuda is 40 mg once daily. The maximum recommended dose is 80 mg once daily. Latuda should be taken with food. What other drugs will affect Latuda? Before you take Latuda, tell your doctor if you regularly use other medicines that make you sleepy (such as cold or allergy medicine, narcotic pain medicine, sleeping pills, muscle relaxers, and medicine for seizures, depression, or anxiety). They can add to sleepiness caused by Latuda. This list is not complete and other drugs may interact with Risperdal. Tell your doctor about all medications you use. This includes prescription, over-the-counter, vitamin, and herbal products. Do not start a new medication without telling your doctor.